Minecraft Falling Snow Mod | Surviving Minecraft, Minecraft Adventures! 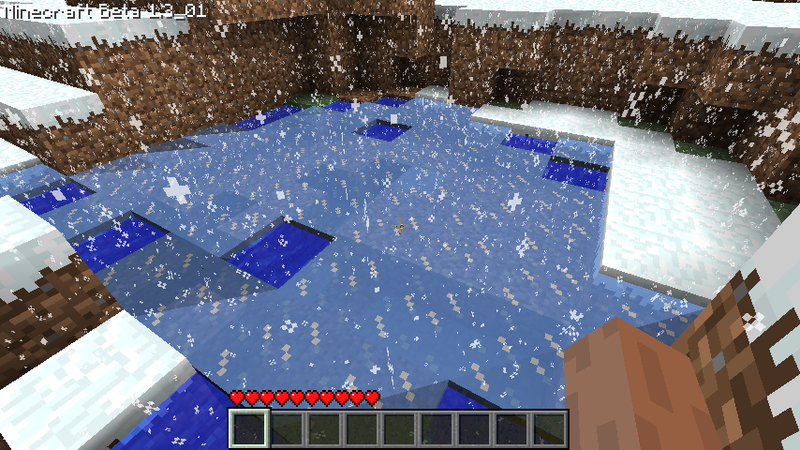 Back in the days of Minecraft Alpha, when your dirt hut was something to be proud of and you smelted every piece of glass lovingly by hand, snow fell from the skies in snowy terrain. Then, something terrible happened. An update. An update to end all updates. Well, not to end all updates, but to end falling snow. No longer could one go walking in a winter wonderland whilst flakes fell upon one’s nose. Experience the joy of falling snow once more! Read more and download the Falling Snow Mod! This entry was posted in Mods on March 20, 2011 by Hope.